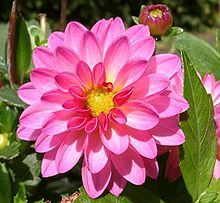 ↑ "Dahlia Cav.". Germplasm Resources Information Network. United States Department of Agriculture. 1996-09-17. Retrieved 2009-10-15.